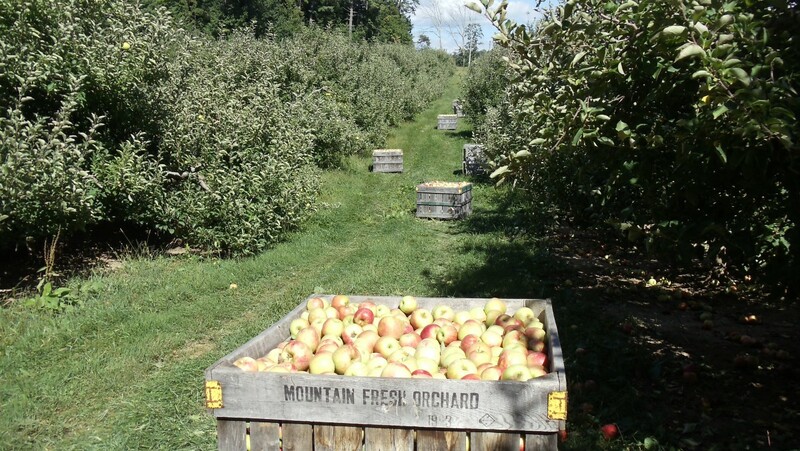 These 20 bushel bins are full of delicious Jonagold apples. 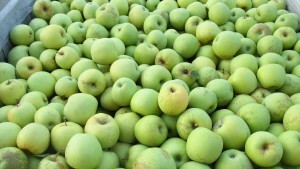 They are a cross between the Jonathan and Golden Delicious apples. 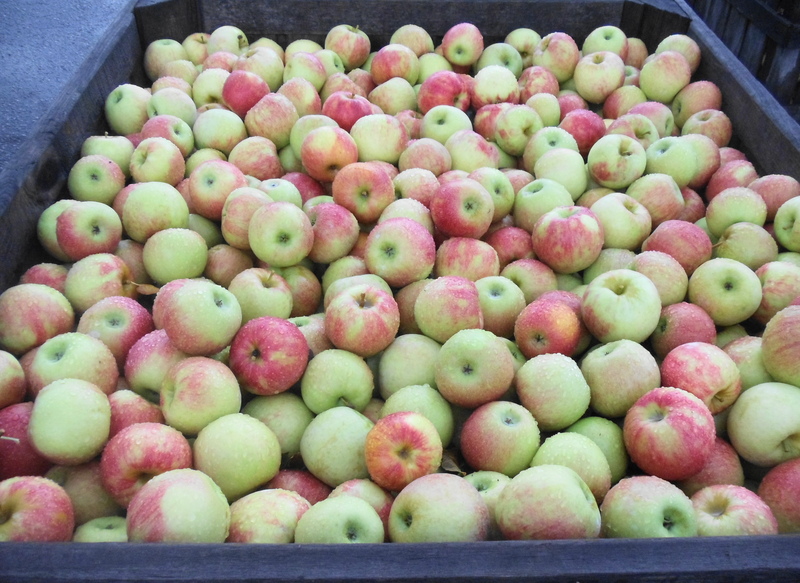 Come on by the farm and pick up a bag of these crisp, juicy sweet-tart apples. Apple varieties available at the farm: Jonagold, Shizuka, Granny Smith, Gala, Fuji, Golden Delicious, Golden Supreme, Red Delicious and Jonathan. 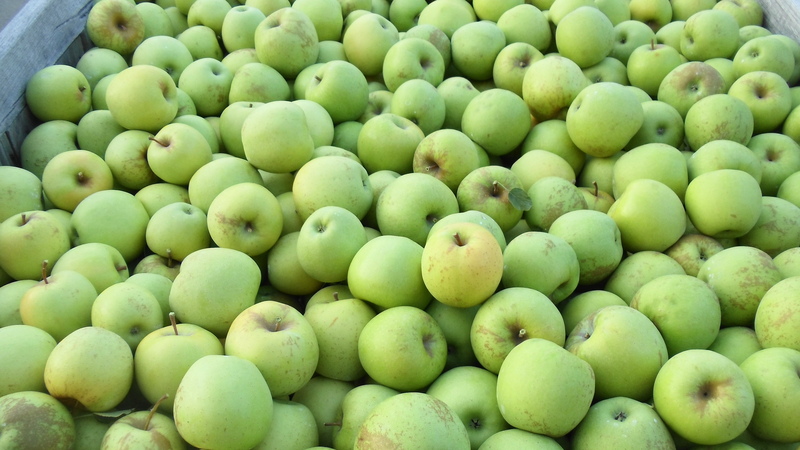 Jonagold apples are a cross between a Jonathan and a Golden Delicious. 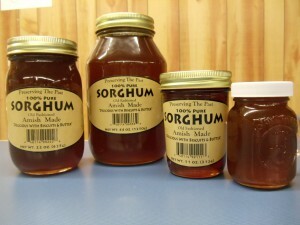 It is great for eating with a sweet-tart crisp bite and gleaming white flesh. 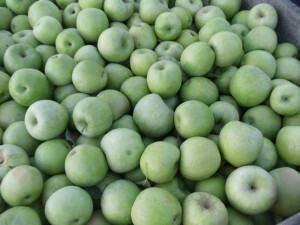 It is a popular dessert apple that can be used for a variety of sweet preparations. See you at the farm. 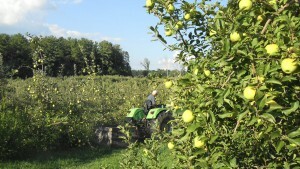 Fresh Picked Apples, Bakery, Cider and more All at the Farm! 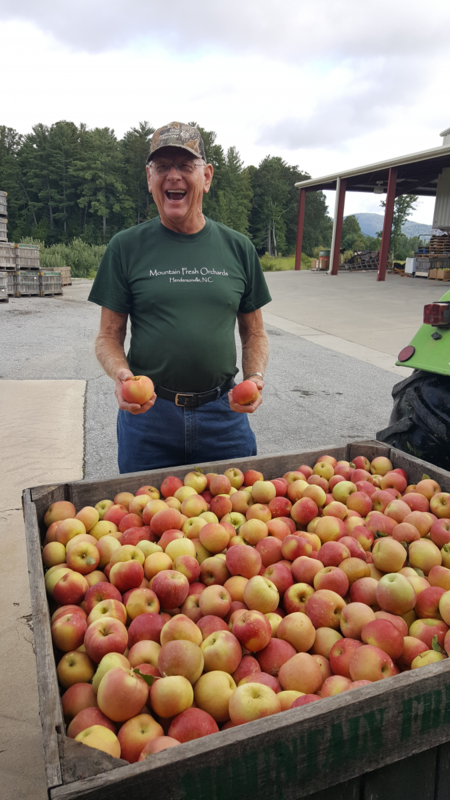 Fresh picked Granny Smith, Honey Crisp, Gala, Fuji, Golden Delicious, Jonagold, Golden Supreme and Jonathan apples are available at the farm. Don’t forget to take home a delicious treat from the bakery. 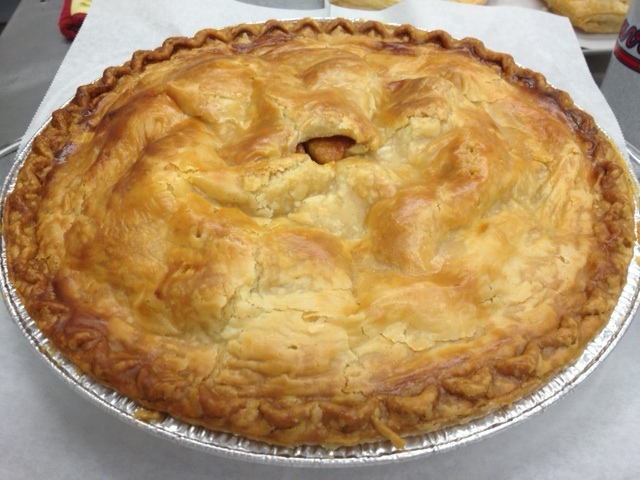 Apple Cider Donuts, Fresh Apple Bread, Apple Caramel Cake, Fresh Pumpkin Bread, Hot Fried Apple Pies, Hot Apple Fritters, Hot Apple Pie, Hot Apple Dumplings with Cinnamon Sauce, Apple Turnovers, Apple Tarts, Berry Tarts, Cookie Cups, Whoopie Pies and Apple Muffins. Beautiful Golden Delicious Apples ready to be picked. Owner, Red Price is putting 20 bushel apple bins in the orchard for pickers to fill with sweet tasting Golden Delicious apples. 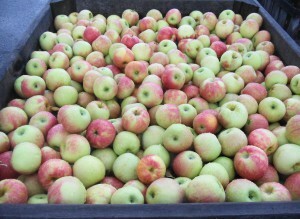 Also at the farm, we have fresh picked Honey Crisp, Gala, Fuji, Jonathan, Granny Smith, Golden Supreme and Jonagold Apples! Undecided on which apple you like? No problem, we offer samples of all our apples.